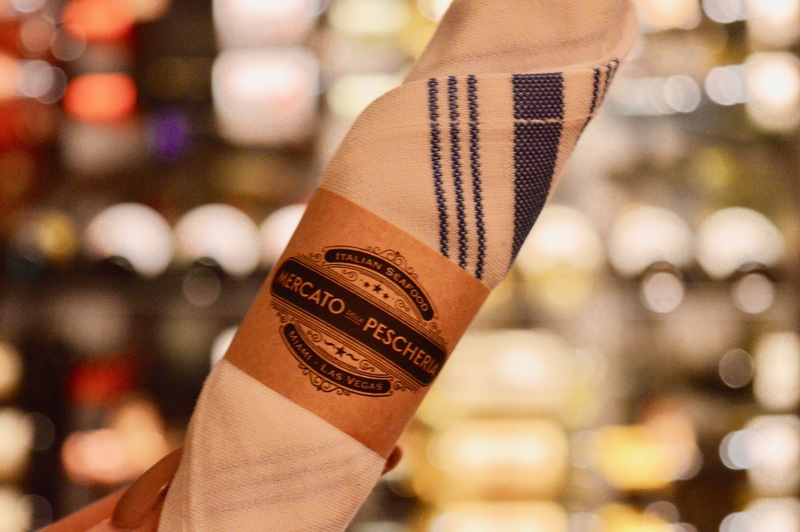 Post-Turkey Day Brunch at Mercato della Pescheria - Elle Blonde | Luxury Lifestyle Destination | Travel, Events, Food, Interiors, Fitness, Fashion & more. If you were keeping up with me more than you were keeping up with the Kardashians you’ll have known last week I was in Vegas baby, and there’s about to be a huge series of what’s good in Sin City, so be prepared. Today though it’s all about my birthday and how I was super lucky to share it with some absolute angels at a Post-Turkey day brunch with the Vegas Lifestyle Influencers at Marcato Della Pescheria. We headed to The Venetian and to St Mark’s Square which is a replica of the real Italian landmark, you can hop on a gondola and tour the hotel complete with your own singing gondoliers (or Gondolieri if we’re speaking Italian). 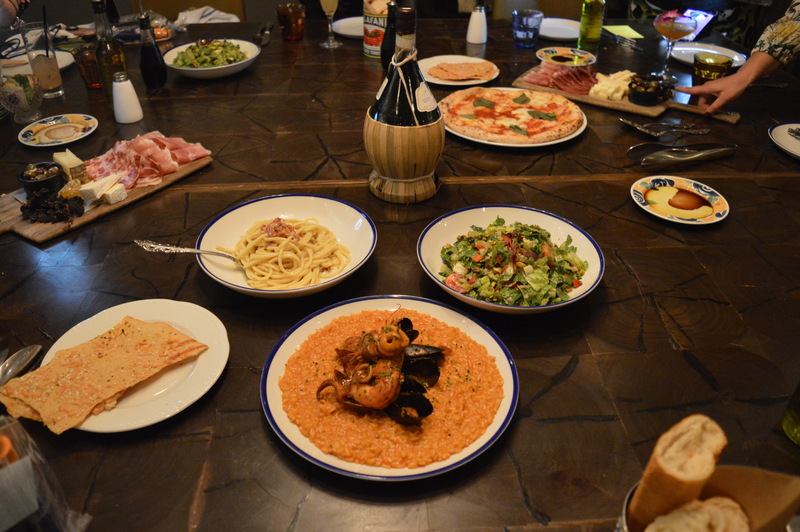 Arriving at Marcato Della Pescheria, which is located in the square we were shown to a private dining room where we were to be served a huge feast of delicious hearty Italian food ‘family style’. With Thanksgiving having been just days before there was a promise of no turkey in sight! A relief to the Las Vegas influencers who were all turkey’ed out. I love American dining as it’s just so extra compared to dining back home! Get ready to feast your eyes on the best brunch I’ve ever had! UK restaurants take note! Up first was the breakfast menu. 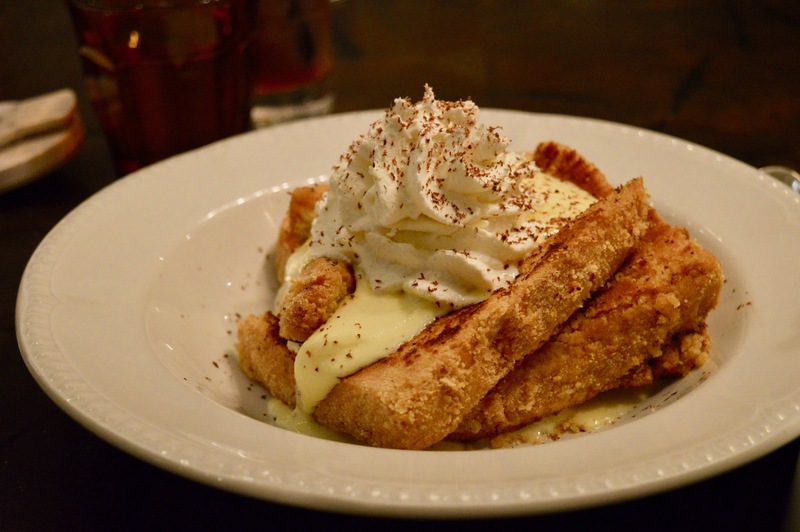 The star of the show in round one was undoubtedly the Ladyfinger French toast which was submerged in fresh cream and mascarpone cream, it was toasted and then sprinkled with freshly grated chocolate. I’ve never had French toast like this before, it certainly didn’t disappoint. 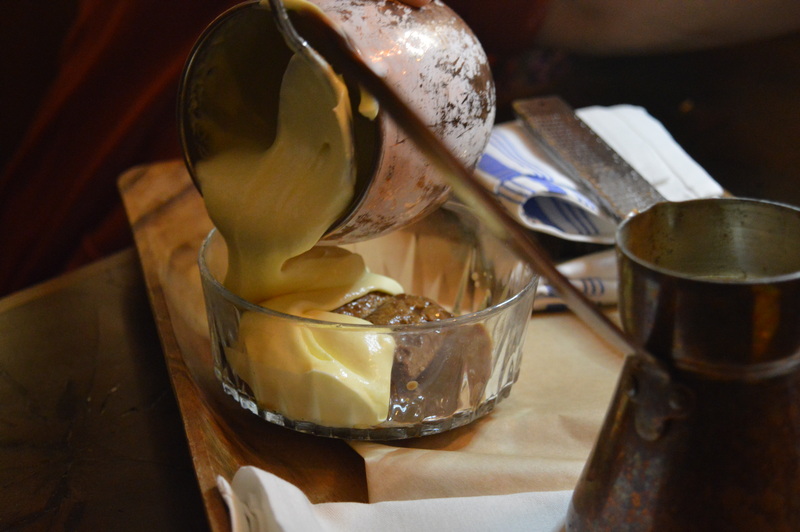 Devilishly sweet yet wickedly moreish the mascarpone cream was likened to our custard at home. 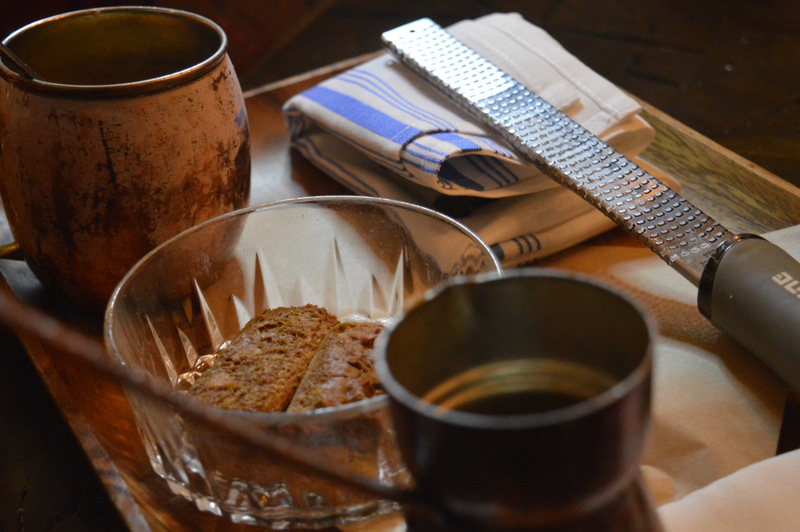 The toast was coated in sugar and comes highly recommended. It was obvious that French toast is a big Vegas favourite! Next up, ham and cheese omelette with purple potatoes. 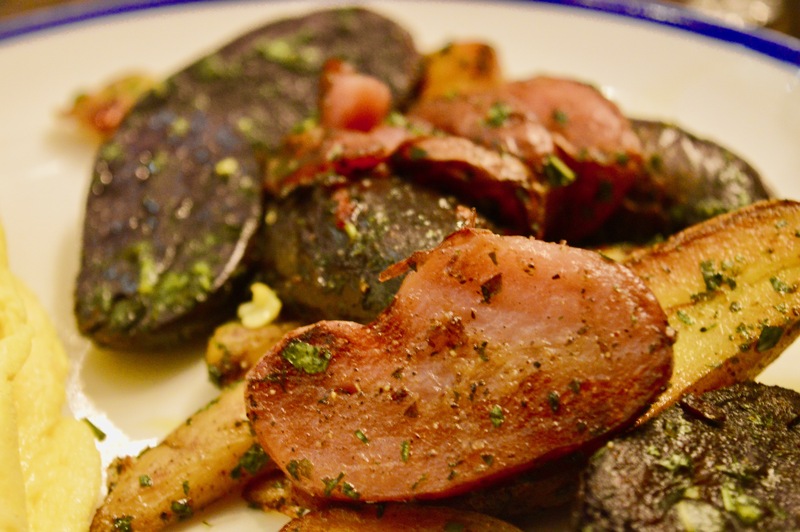 Yes, you heard correctly purple potatoes cooked with herbs. 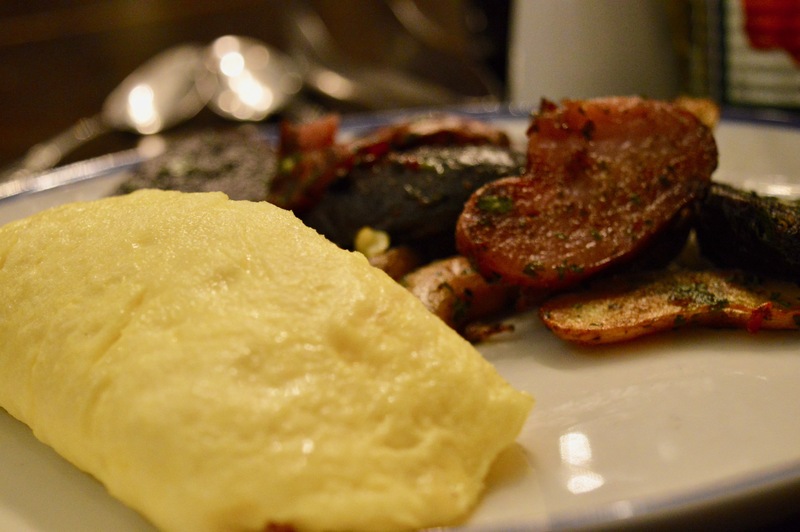 I’m a massive lover of omelette and with that yellow hue, I knew it was going to be a good one! Accompanied by purple potatoes we were eager to taste them. They were more earthy than white potatoes, however, seasoned with the herbs and tenderly cooked they were sumptuous and exceptionally tasty. 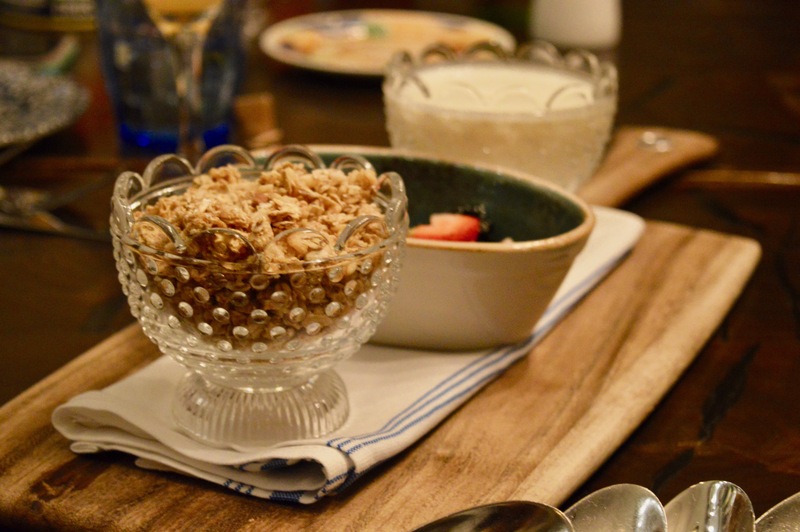 For the aesthetics, yoghurt berries & granola – I passed on this after having enjoyed a very similar breakfast in our hotel the morning prior (and saving space for more food). It looked super fresh and received a lot of compliments! Breakfast over and done with it was time for lunch. The dishes just kept coming and the exceptionally large table was just getting even more full with every passing minute. I must admit I love family style sharing so everybody gets a little taste of everything. 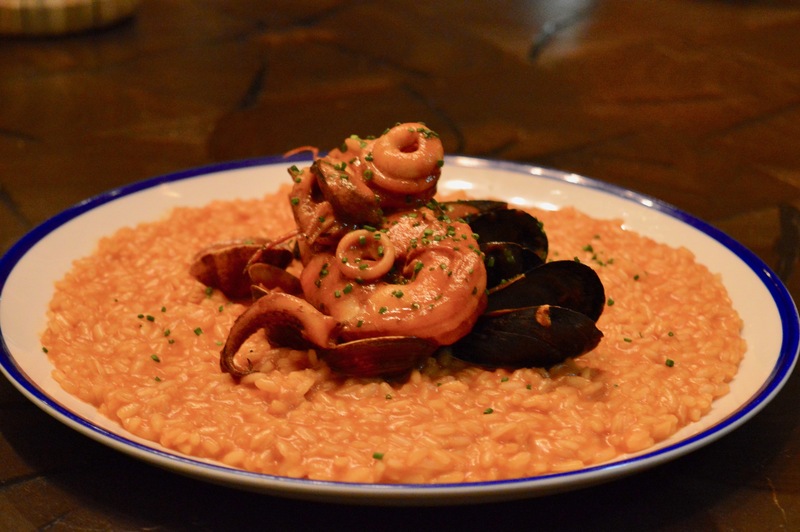 The dish that caught my eyes, risotto with shrimp, clams and mussels. I love anything seafood and with Vegas being in the desert I didn’t know how their seafood would fair. Don’t know why I even questioned it, it’s Vegas you can get EVERYTHING here! The risotto was cooked to my liking, slightly al dente and the flavour was powerful. 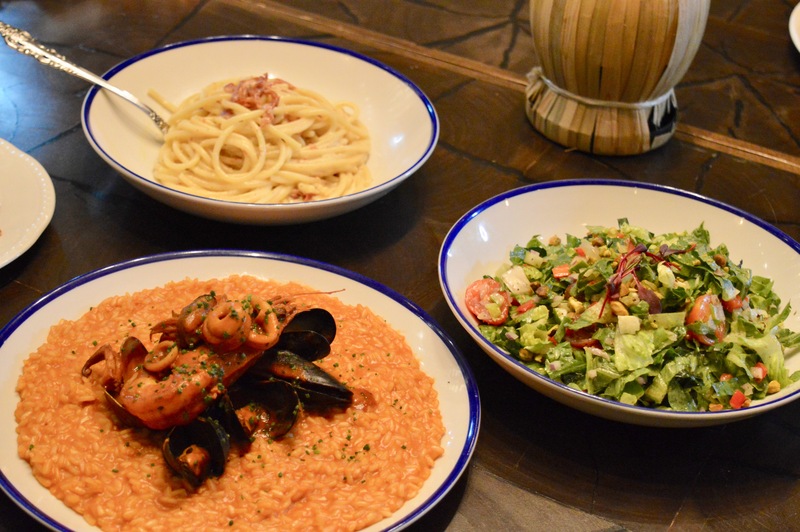 Topped with fruit de mer. I must admit, I couldn’t have eaten a full portion of this as it was exceptionally rich. The next dish; Bucatini carbonara. 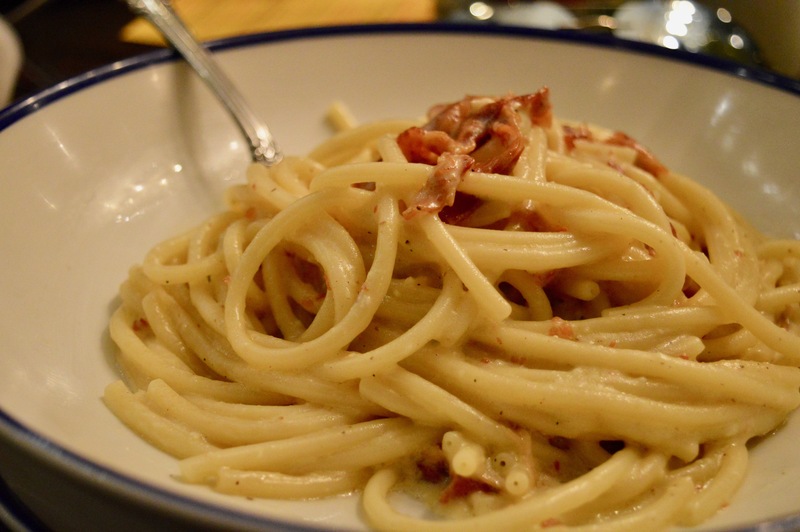 I find carbonara a little bland and often lacking in something. I think it’s because it’s not served like this. Bucatini is my new favourite pasta, it’s like spaghetti just better. The sauce was absolutely faultless, creamy and rich with the right amount of seasoning with proper bacon it really was great soul food. Perfect comfort food. I could have easily opted for this as a full portion. 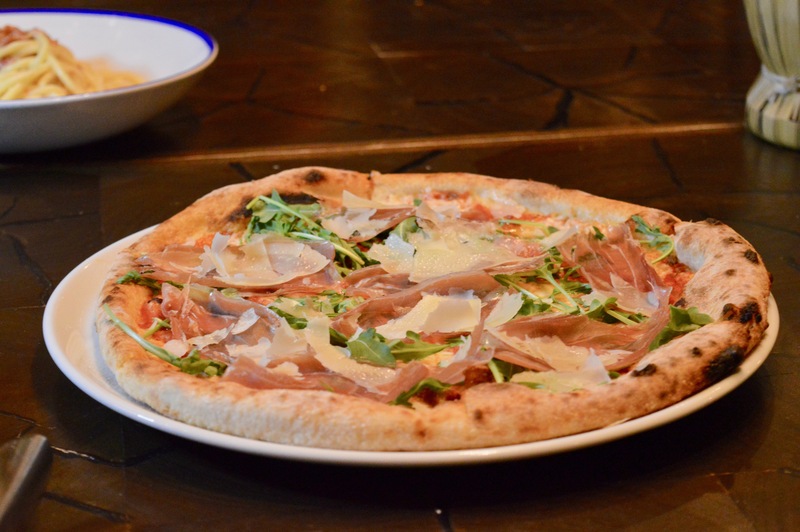 Prosciutto pizza and Margherita pizza. The best pizzas you’ll ever have eaten naturally found in Italy, the second best. America. Of course, they are. These two pizza options were super good. The bases, cooked to perfection and generously topped. They come highly recommended. It’s rare to find a good salad in a restaurant at home. Here, they’re really good. Fresh and with the most sensational ingredients this chopped salad packed flavour and was delicious on its own or complimenting a pizza. Finally, the meat & cheese platters. I’m a massive fan of cheese. 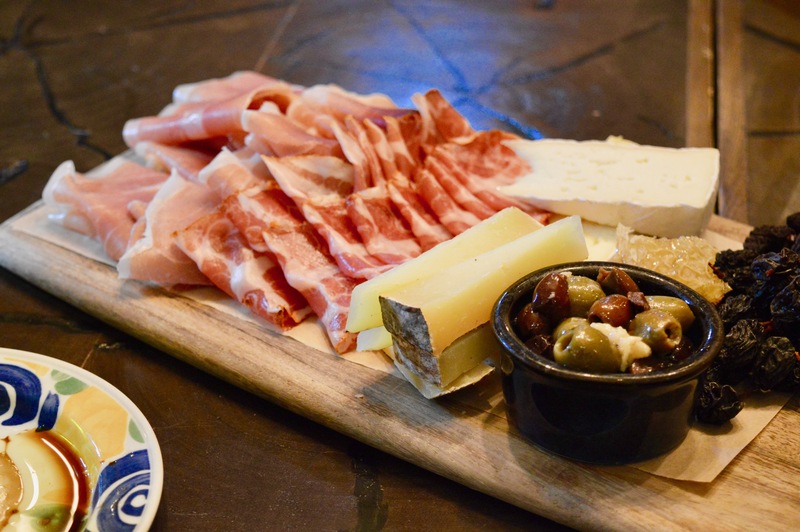 These platters were stacked high and accompanied by a selection of pitted olives and on the vine raisins. With the option of either goat’s milk or cows milk cheese the restaurant really has thought of everything! Piled high with sliced meats, they too were beyond delicious! Also, I hadn’t really left room for dessert, but when it’s your birthday, there’s almost always room for cake. Especially when it’s a 9 layer chocolate cake. Yup, a take on the Matilda classic, Bruce Bogtrotter cake this single slice could have fed a family of five. For. A. Week. It was huge! 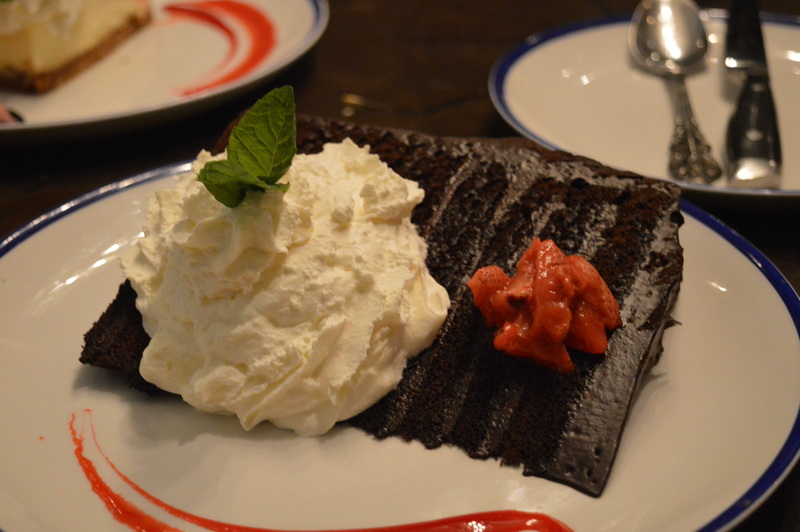 Fondant and soft cake were layered high on each other and yup, it was the best chocolate cake I’ve ever eaten! Now let’s get this straight I’m pretty fussy when it comes to dessert, I’m not usually a fan of the sweet stuff and I’ve never been a fan of tiramisu, but you know when in Rome (or Venice for the purpose of The Venetian) then you’ve got to try it. Served tableside each element was added before our eyes and et voila tiramisu. I actually can’t believe I’m writing a post which is like this was great, this was the best ever, fantastic as you know I love to write as I find. You know what Mercato Della Pescheria was faultless. The tiramisu, angelic. It was fresh, creamy and not overpowered by coffee. I think I could definitely be persuaded on my return to Vegas to share this dessert! Finally, you can’t finish off a meal in the States without this final dessert. 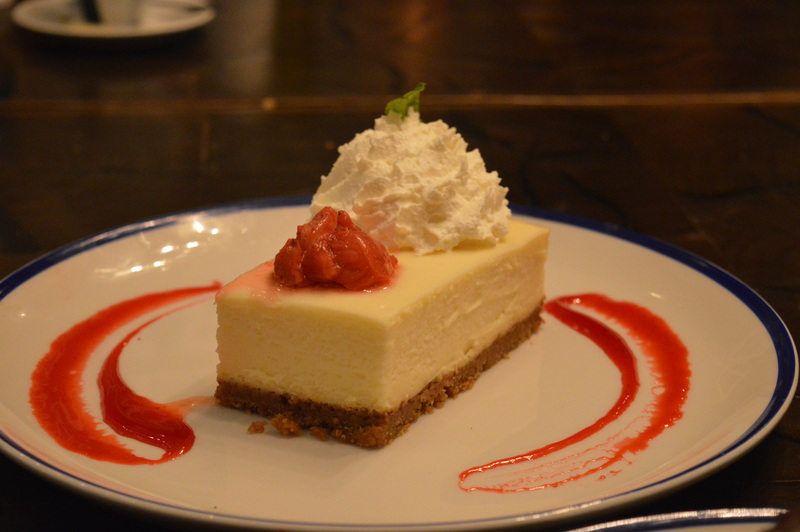 An Italian American cheesecake. Woah piled taller than I’ve ever seen before this impressive cheesecake was delicate and incredibly tasty. 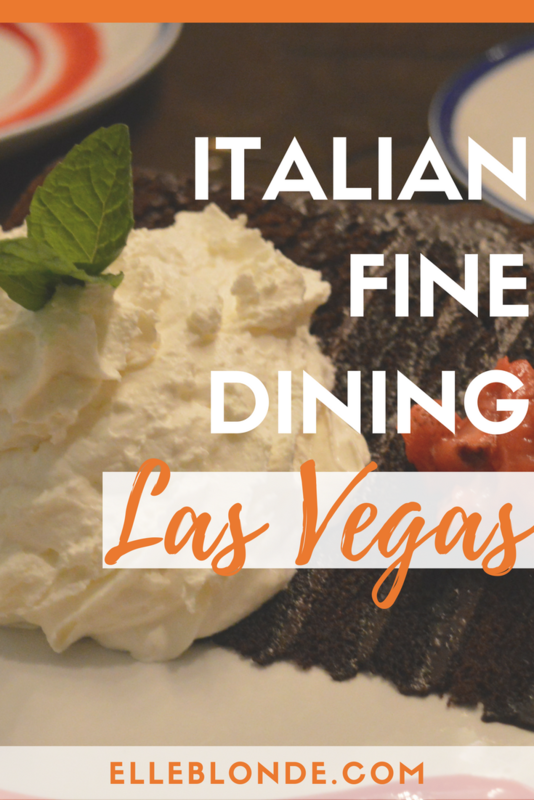 With an intense base complimenting the mascarpone cake it was a true marriage of traditional Italian dishes fused with that American twist that’s undeniably perfect! We did sample a couple of the cocktails. Now baring in mind I had been in Vegas for 4 days already my veins were 90% full of alcohol so I took it easy with a Cherry almond fizz followed by an Italian hi-ball. Both mixed to perfection and served effortlessly. 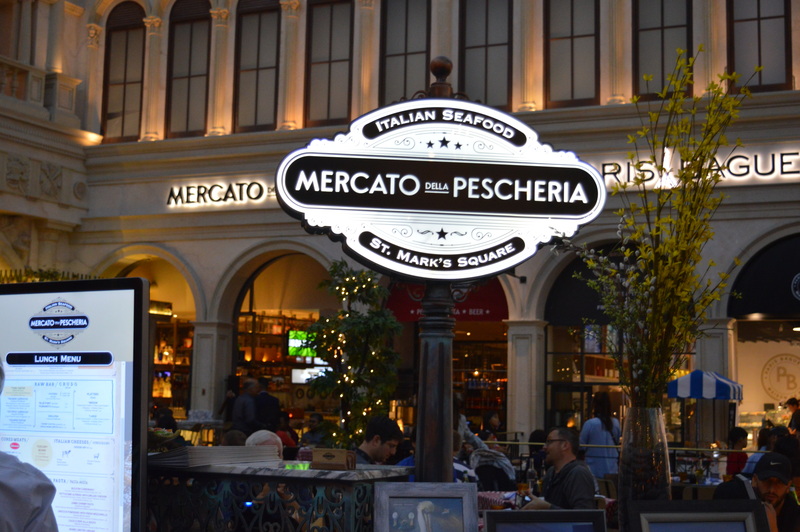 Consequently, I highly recommend Mercato Della Pescheria if in Vegas as the food, ambience and service are second to none. Reasonably priced and with great views onto the square it’ll be a meal to remember. I never usually do this, however, massive thank you to Melissa and Stephanie for a beautiful birthday to remember you guys are dolls!